Dinner at Xin Rong Ji. 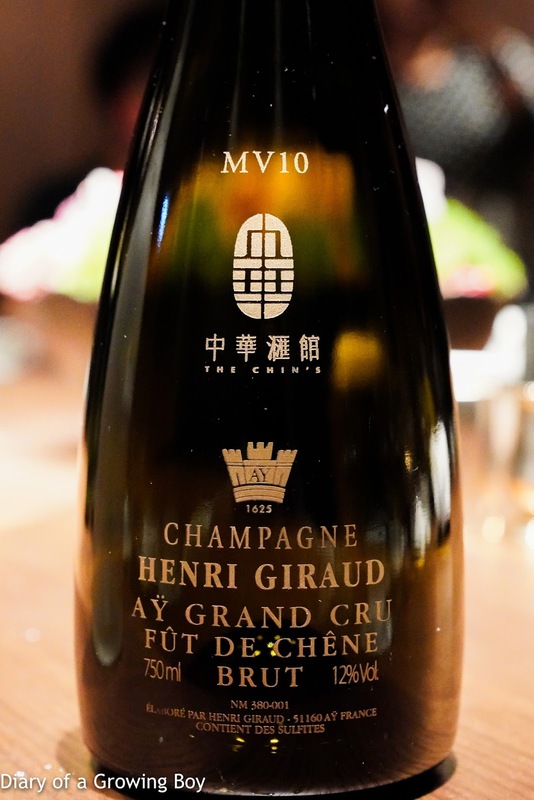 Henri Guiraud Fût de Chêne MV10, dégorgée le 18 Novembre 2016 - yeasty, ripe, somewhat floral. Nice. 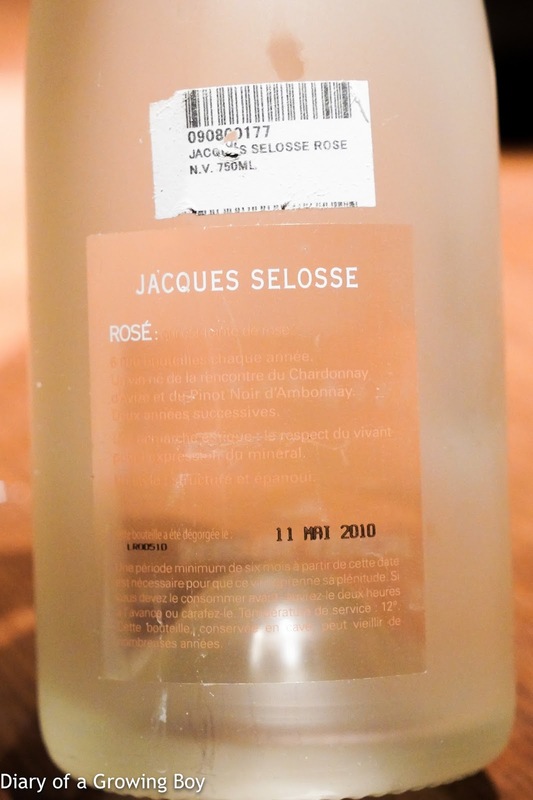 Jacques Selosse Rosé, dégorgée le 11 Mai 2010 - very ripe and more oxidized as expected, yeasty. 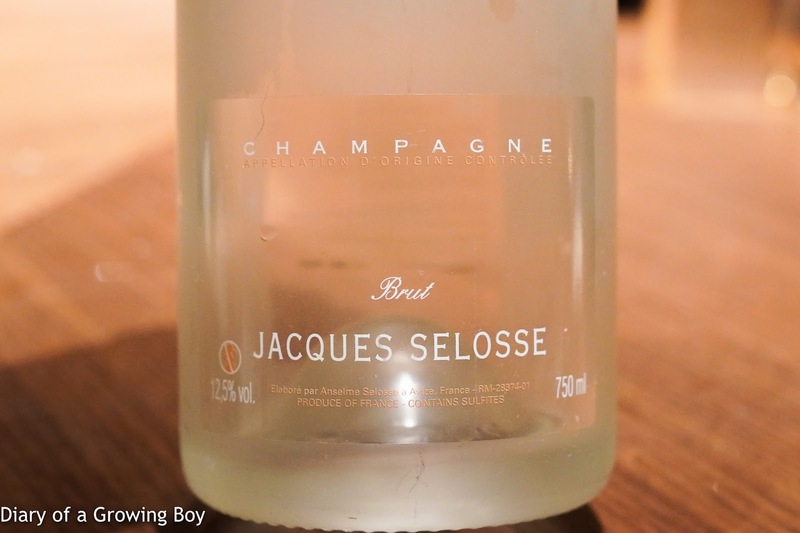 Good depth on the palate and long finish. 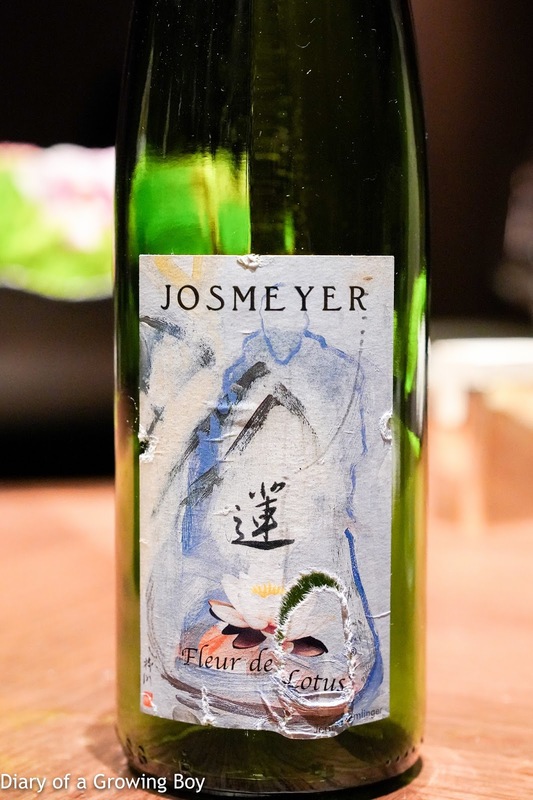 2014 Josmeyer Fleur de Lotus - very floral and tropical nose with sweet lychee, elegant on the nose. 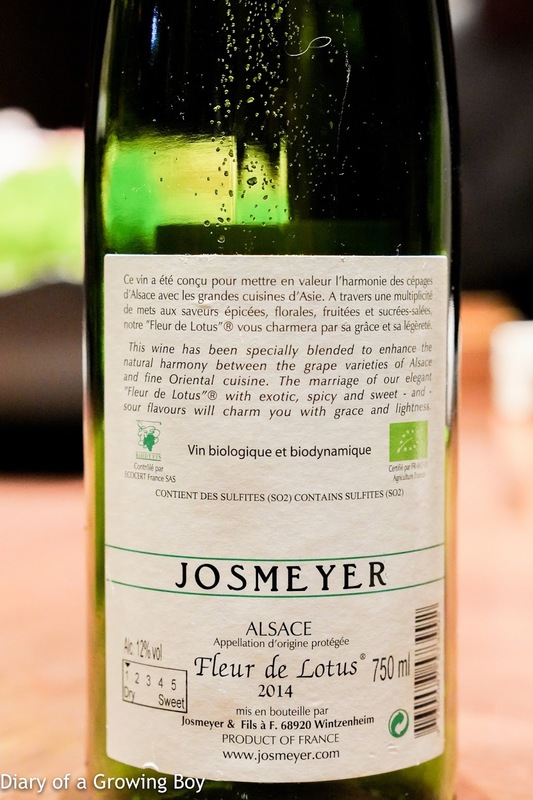 But a little hot on the palate, and also overripe with a slight bitter finish. 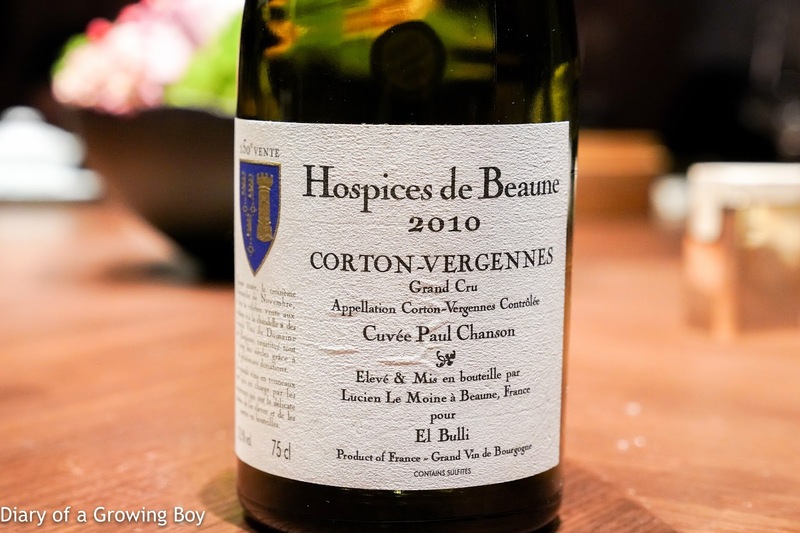 2010 Hospices de Beaune Corton-Vergennes Cuvée Paul Chanson elevé et mis en bouteille par Lucien Le Moine pour El Bulli - tons of toasty oak with mineral notes. Drinking beautifully. 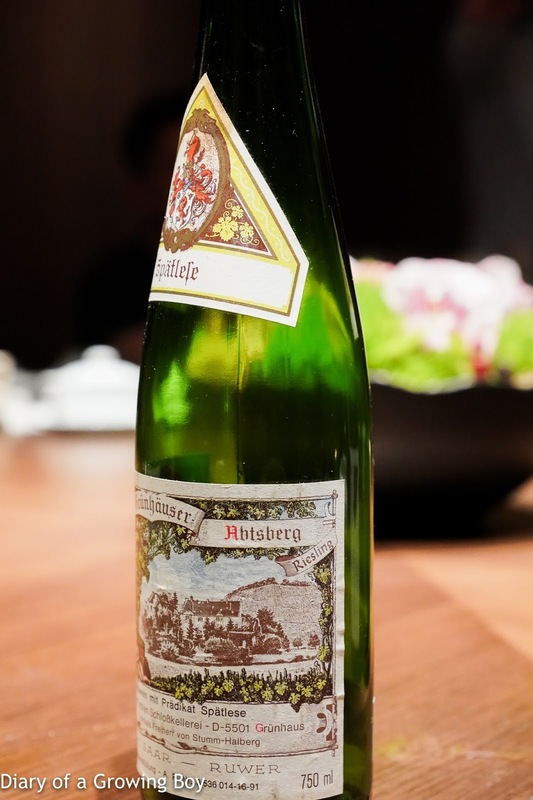 1990 von Schubert Maximin Grünhäuser Abstberg Riesling Spätlese - unfortunately the first bottle I brought was very slightly corked, but tasted OK on the palate if too oxidized. 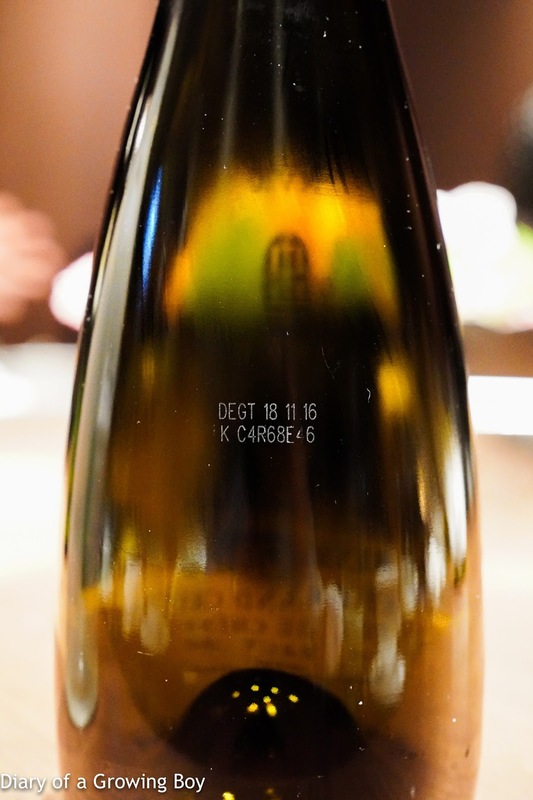 Thankfully the second bottle was very fresh and youthful, especially considering that it had been aerated for 2 hours prior to serving. Showed lemon and polyurethane notes. Beautiful and smooth. 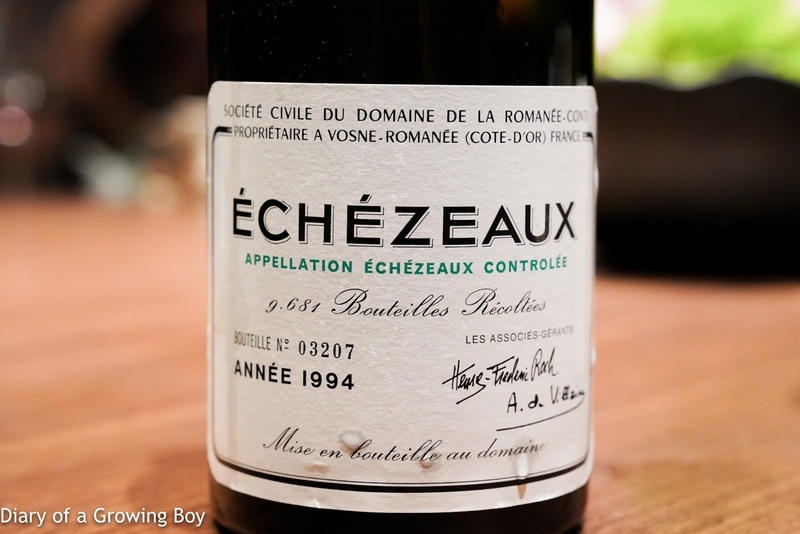 1994 DRC Echezeaux - two bottles courtesy of the restaurant owner. Aerated more than 1 hour prior to serving. Still some sweet fruit in the nose, with a whiff of floral notes. Pretty dry and somewhat grippy. 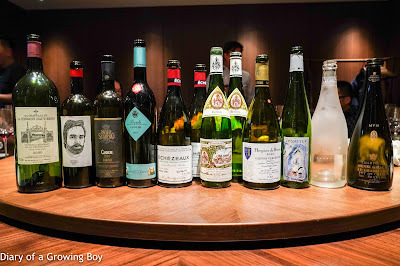 OK considering the vintage. 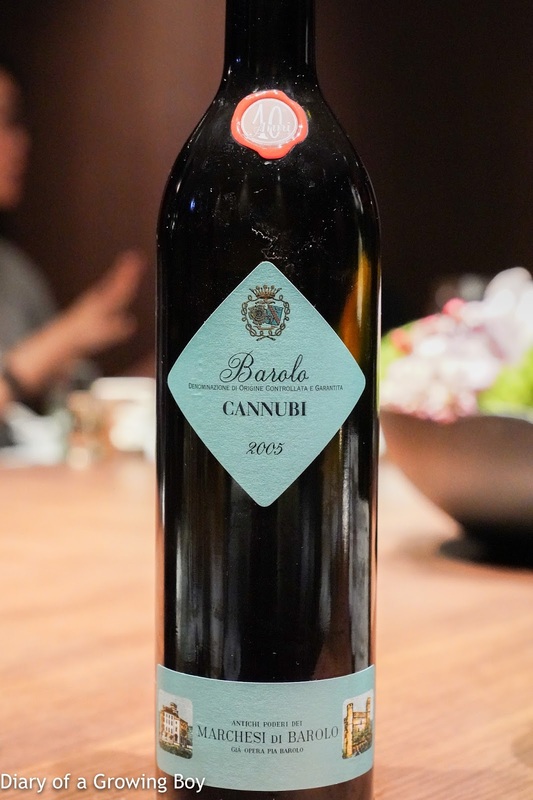 2005 Marchesi di Barolo Barolo Cannubi - exotic herbs and sharp alcohol in the nose. 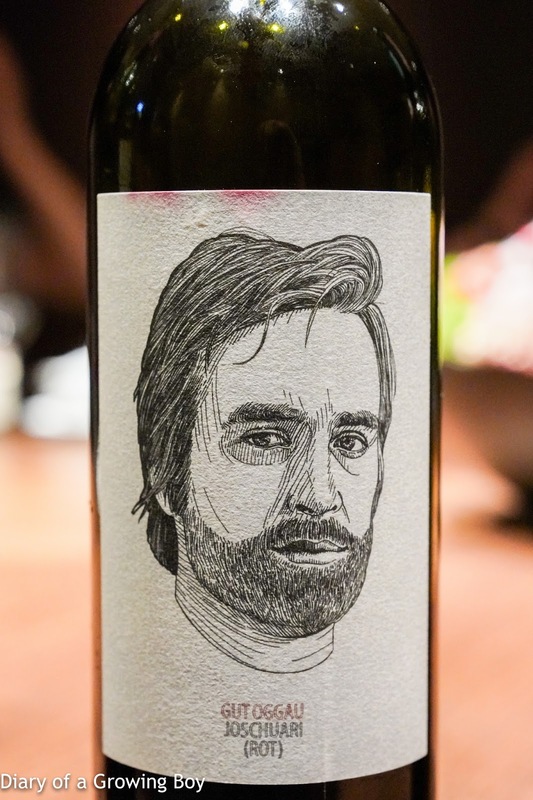 A little rich, and very tannic. 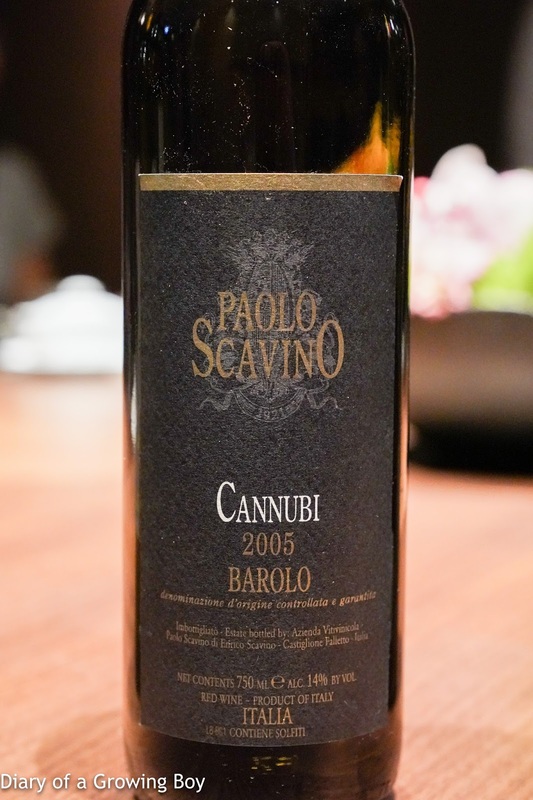 2005 Paolo Scavino Barolo Cannubi - aromatic and much more elegant compared to the Marchesi di Barolo. Also softer and less tannic. 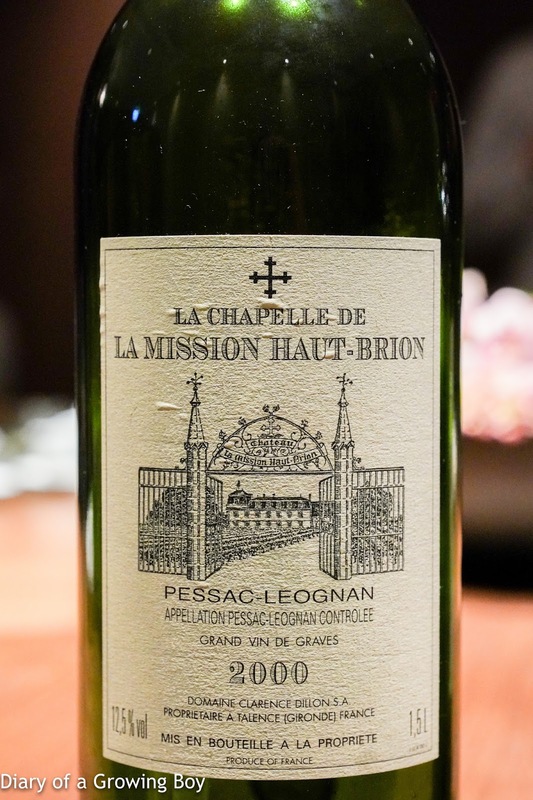 2000 La Chapelle de la Mission Haut-Brion, en magnum - aerated for more than 2½ hours prior to serving. Very nice with smoky notes. Smooth on the palate. Classic claret. 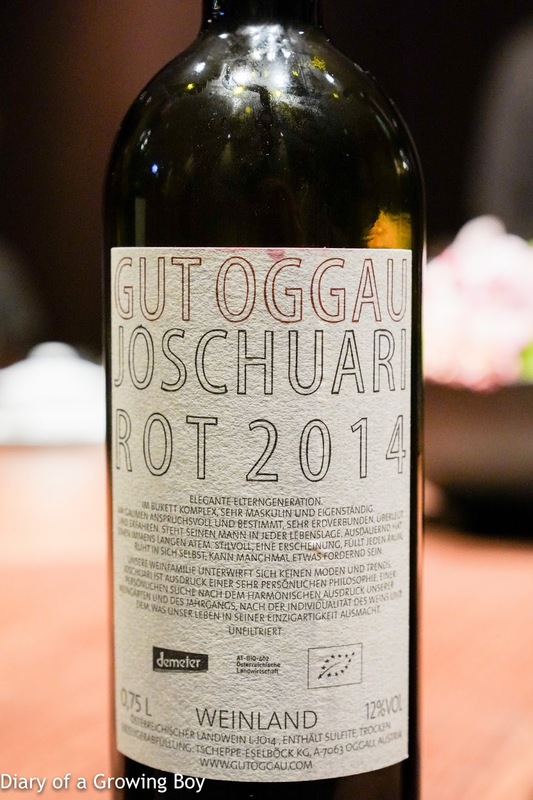 2014 Gut Oggau Joshuari - minty, peppery, pimenton, pine needle notes. Showing cool fruit. Reminds of Loire reds like Chinon but also a little of Alain Graillot Crozes-Hermitage.